The British luxury car manufacturer Aston Martin has come to the Geneva International Motor Show in Switzerland with a full-electric limousine concept. The vehicle looks like a paragon of design and should give you an idea of what all Aston Martin cars will look like in the 2020s. It has been revealed that the new Aston Martin Lagonda Vision Concept gets a battery for over 630 km (390 mph) driving range, and a wireless charge function. It also comes equipped with permanent 4WD. The Aston Martin vehicle interior is a phenomenon closely associated with the finest in automotive luxury. 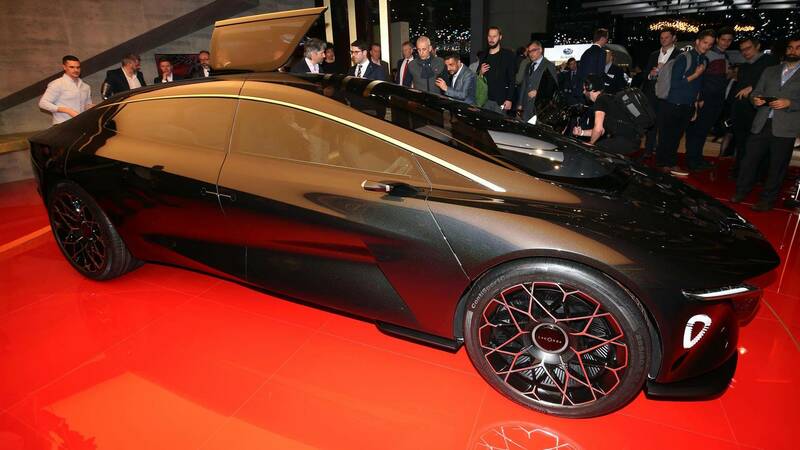 The new Lagonda Vision Concept is no exception to the rule. It uses carbon, ceramics, silk, cashmere, and even natural wool in generous quantities. The concept car comes equipped with fourth-level self-driving tech. Once engaged, you may reverse the front seats 180 degrees and just enjoy the trip with the other passengers while electronics does the driving for you.